If you're looking to classify it, you should probably keep looking. 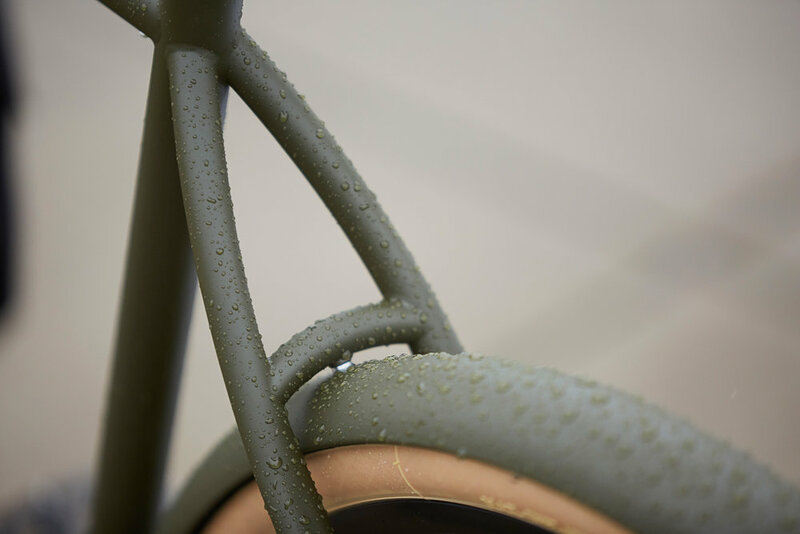 Based on our thoroughbred road bike chassis. Ready for whatever your can throw at it. 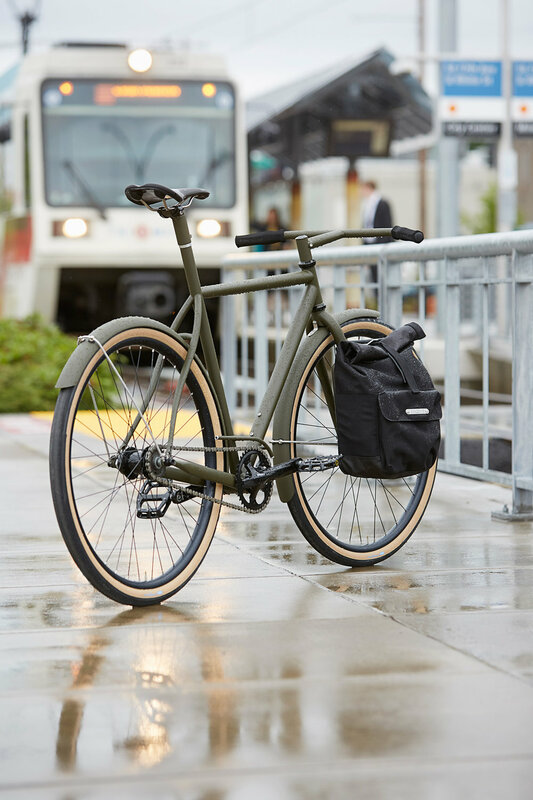 Our Readymade Urban Racer delivers on the promise of an addictively fun ride, and it also delivers in about four weeks or so. Complete bikes start at $3,495. You could take the most direct route to work or wherever, but what do you really want to do? Where is the fun? What makes you feel alive?? The Urban Racer is born from how we "want" to ride, rather than how we "should" ride. Designed by Sacha as an answer to his family's big, slow and heavy grocery getter. 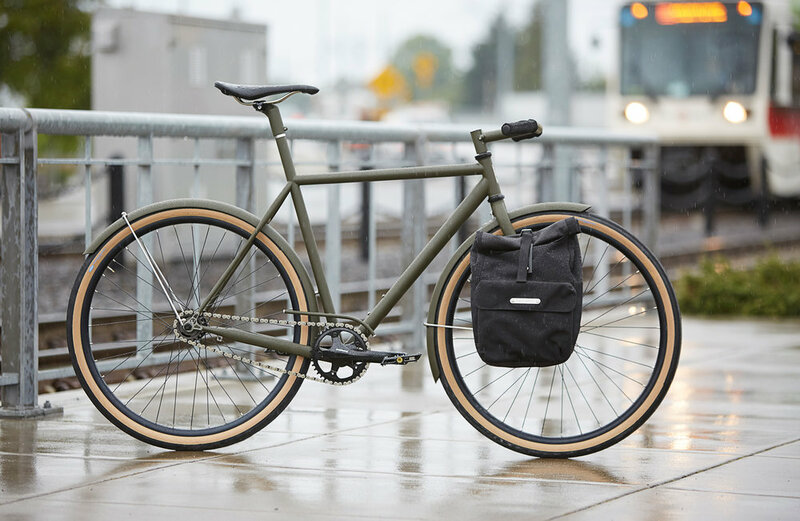 The Urban Racer is light and bomber, with geometry that likes sprinting up hills, riding down stairs, surfing concrete berms, or cruising one handed (or no handed) while carrying one's beverage of choice - all with the beautiful simplicity of your childhood bike. The one you used to explore your town with friends, chasing each other through fields, hitting jumps and laying it down in front of the store to run in and grab a soda. Yep, that's a coaster brake. A Speedvagen original design, Our bar/stem combo features a beautiful, minimalist swept back handlebar shape, with the binder tucked neatly into the stem. 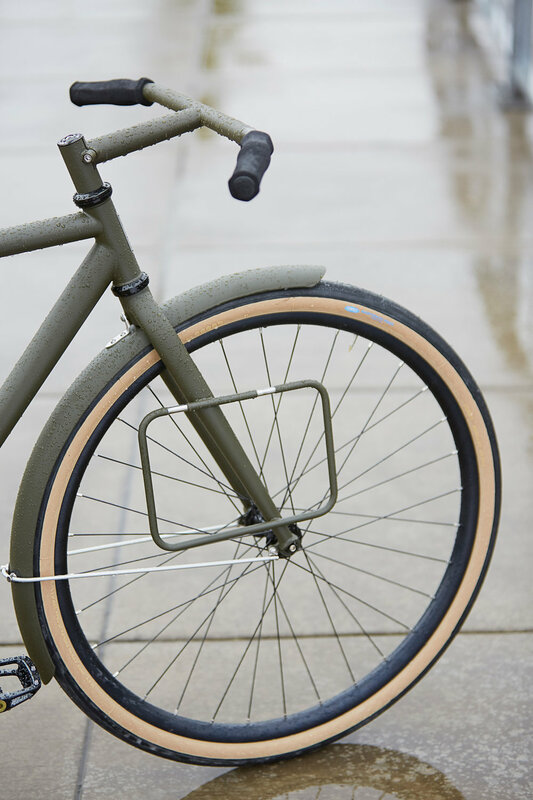 Our bar/stem combo is 100% steel and in addition to being foxy, it feels totally bomb-proof whether you’re out of the saddle, or descending hard (down a set of stairs?). If you don't want to think about batteries, clipping lights on and off then our Dynamo Lighting system is for you. The wires are skillfully routed inside of the frame and the mounting points for lighting are discrete. This means that they’re out of the way when riding and they won’t distract from the raw lines of the bike. We’ve been making racks for many, many years. For the Urban Racer, we wanted uncluttered and very sturdy, so we designed this thing from the ground up, without being tied to convention. The result is very light, it’s painted to match, and it holds a bag that’s big enough for a laptop and a couple pieces of clothing, or a few groceries. We love the Brooks Norfolk Roll Top Pannier, so that's what we spec.